Want to pay your bills for your business automatically? If so, most financial software will let you set up automatic bill pay. Also, most financial institutions offer electronic payments online directly from their website to the payee. You also may be able to set up electronic bill payments through your financial software so when you enter a payment in the software, the transaction goes through, and the bill is paid in the amount and on the date you specify. Online bill pay is an electronic payment service that allows you to set up a secure online account to make one time or recurring bill payments. The source of funds for the payments is usually a checking account, but some bill pay services also work with credit cards. All bills and transactions are accessed on the bill pay website. Financial software that supports electronic payments will let you automatically pay bills electronically with scheduled transactions. Electronic payments are payments that are made directly to the payee from your bank accounts using security features over the Internet to process the transactions. Electronic payments start with an arrangement you make with your financial institutions to have funds withdrawn from your account and sent to a payee. This cost is worth it for most people, considering the elimination of the cost of postage and checks otherwise used to pay bills. Alternatively, you may have access to free online bill pay features through online banking offered at a financial institution you already hold an account at. Electronic Funds Transfer vs. check - It's best to set up payments with companies that will accept the payments electronically, but online bill pay services can cut and mail a check when electronic payments are not accepted. Be sure to allow extra time and plan ahead - usually five business days - for the check to be cut and mailed. Transactions and other personal and financial information are heavily encrypted for the customer's safety. Therefore, this is generally considered a safe transaction. Follow these tips for paying bills online to make using the service even safer. If you have bills from several different sources, online bill pay can streamline the bill pay process and be worth the time to set up and the potential cost, which is low. 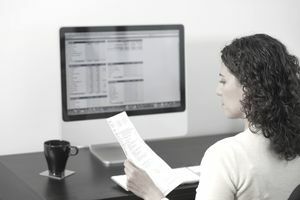 If you only pay two or three bills each month, free online bill pay is a great idea, or see if you can pay those few bills for free directly at the payee's website. What Is Online Bill Pay and Is It Worth the Cost? How Is Desktop Software Different From an App?